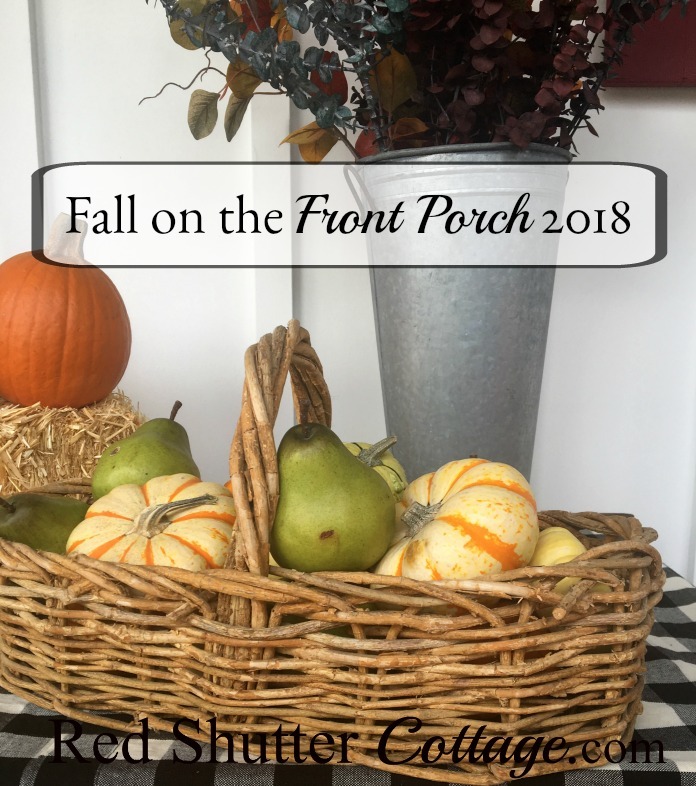 A Festive Fall on the Front Porch came about when I was taking down the front yard Halloween decorations. 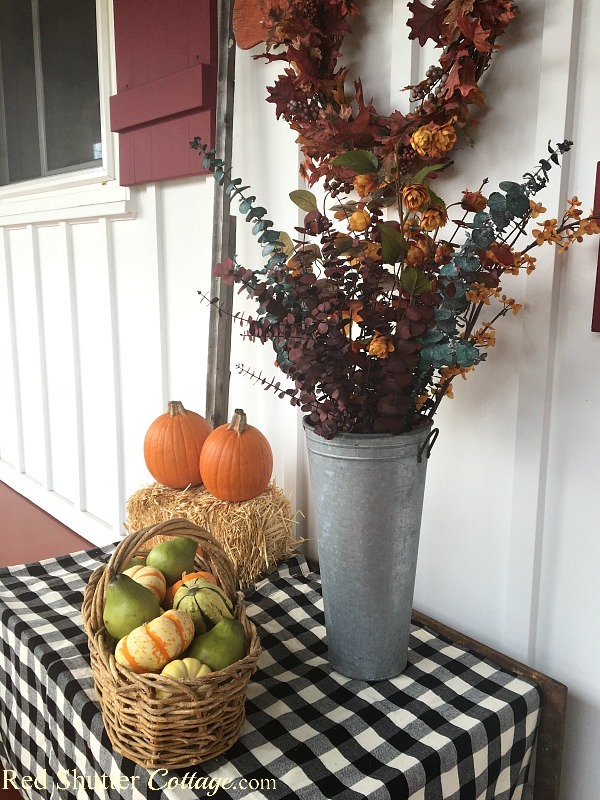 Since I am hosting Thanksgiving, I wanted something on the front porch to greet my guests as they arrived. I already had the wreath up, but I was looking for a way to display my “Harvest Time” sign. And that is how it started! I usually put the Harvest Time sign in a big pot with bricks sand to hold it in place. But I wanted to build a display with a little bit more presence. 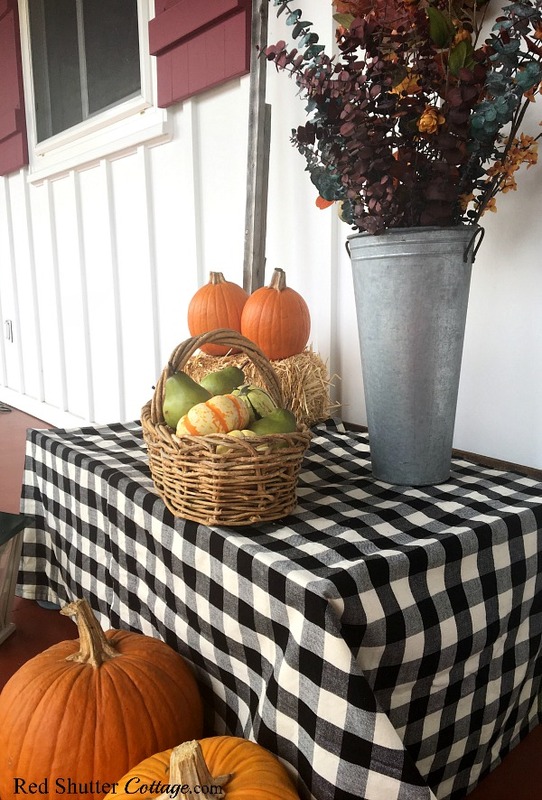 I dragged out one of my fall bins to use as the foundation piece, but even when I draped it with the buffalo check, it looked wimpy. I replaced it with an old wrought iron table that sits in our back yard. 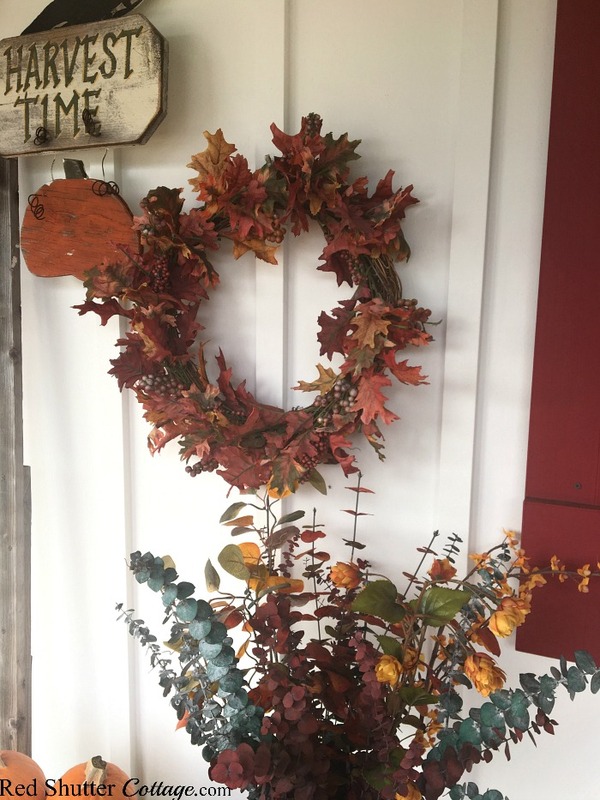 The top is not solid; it’s an open pattern of bars and forms that allowed me to slip the bottom of the Harvest Time sign into an opening and lean it against the porch wall, next to the wreath. The buffalo check, which is actually two curtain panels, came out again to act as a tablecloth, and this time, I had a foundation with some oomph! 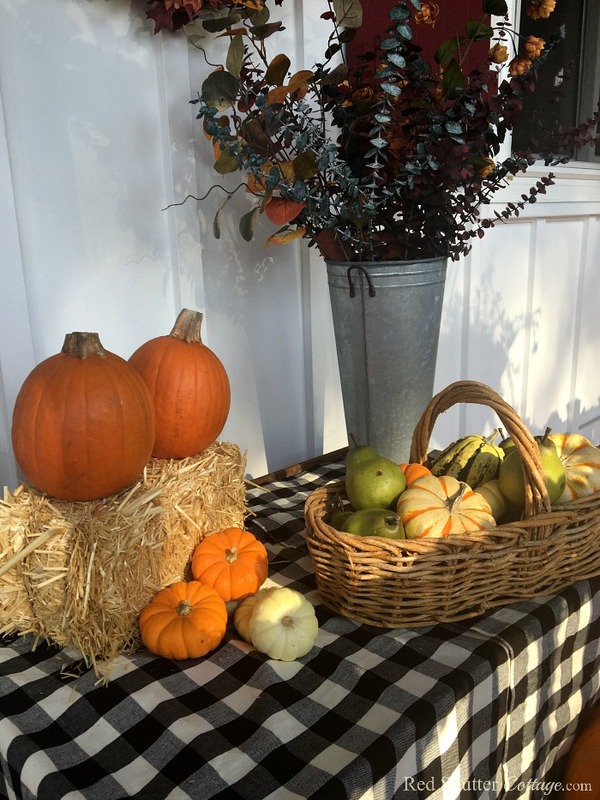 The rustic basket was not my first choice to hold the fall gourds and pears; I was just using it to carry the gourds and pumpkins outside. I intended to use the two-tier basket that held the skulls as part of my Halloween mantel. But when I set up the two-tied basket, it didn’t have the punch I was looking for! 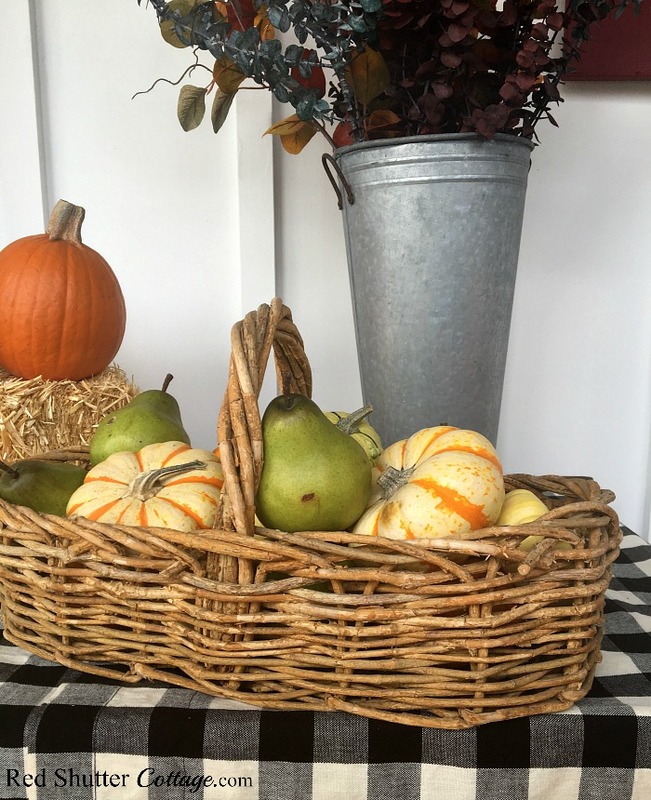 And then I looked at the basket again, and realized it looked perfect filled with pumpkins, gourds and pears, sitting on the buffalo check. At this point, I nearly gave up. 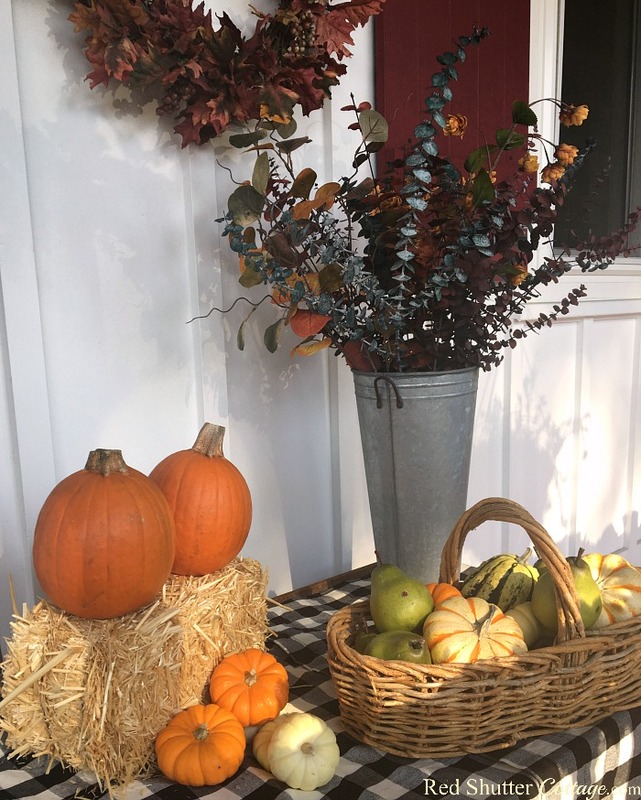 There was already so much back and forth, and all I had to show for it was a foundation piece, a Harvest Time sign, and the basket full of fall fruit! But I kept going. I have had this little bale of hay for a few years now, but I rarely use because it makes such a huge mess! Still and all, it speaks fall. I added a couple of pumpkins on top and leaned some little pumpkins against the bottom. But I still needed some height behind the basket, and my first thought was the galvanized flower pail sitting on my dining table. I marched into the house, removed it from its perfect spot on the dining table, and added it to the front porch display. And that was when I felt as if it had really come together. This one was not easy!! I also added the lantern and the two big pumpkins to the bottom to create a little more to the front view. I literally pulled this together on a Sunday afternoon. 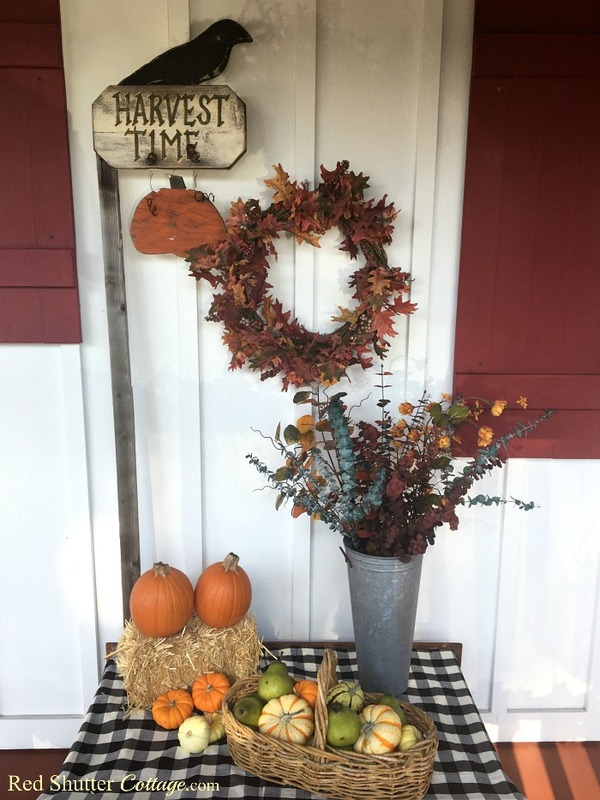 Many of the items I used are part of my fall stash of decorating items; the wreath, the Harvest Time sign, the fall foliage and bale of hay. And of course, fall gourds and pumpkins are all so plentiful in the fall. But the basket, the buffalo check ‘tablecloth’, the galvanized flower pail are all items I use year-round. Having a cast of great “support players” collected from garage sales or thrift shops means you don’t need bins and bins of decorating items. Things like baskets, trays, vases or pitchers, lanterns and candleholders can really help you get creative when putting together a festive seasonal display. 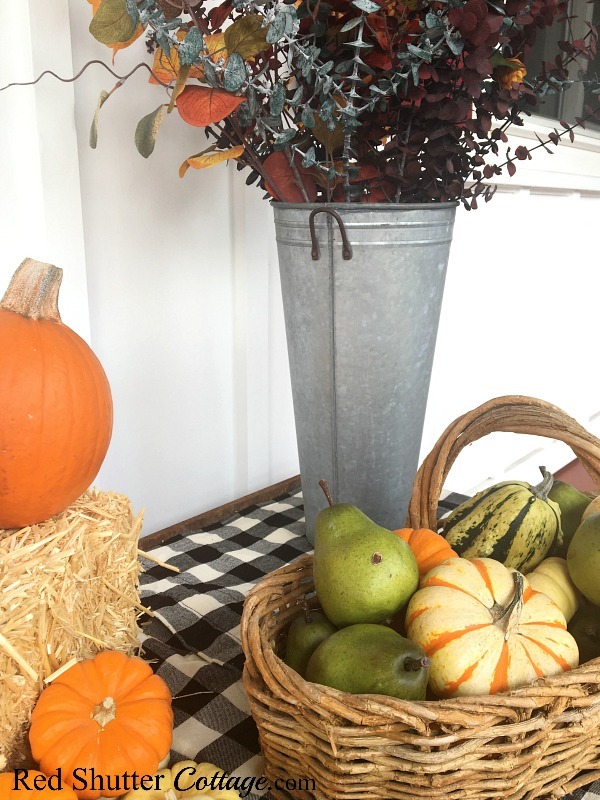 Happy Fall – from our home to yours! Your fall porch is so warm and welcoming. Your decking is also beautiful. Did you paint those stripes or is that a floor covering? The buffalo check is a prefect fabric for your decor. Have a wonderful Thanksgiving. Tonita – Thank you for your kind words…and the buffalo check is my favorite!! Our porch is narrow and long, and we have a railing that separates it from the front yard. I took those pictures early in the morning, and the sun was just coming up, so the stripes you see on the porch are the shadows from the railing. I can see how it would look like painted stripes on the porch – but that was just Mother Nature helping me out! Thank you for stopping by, and best wishes to you for a wonderful Thanksgiving. 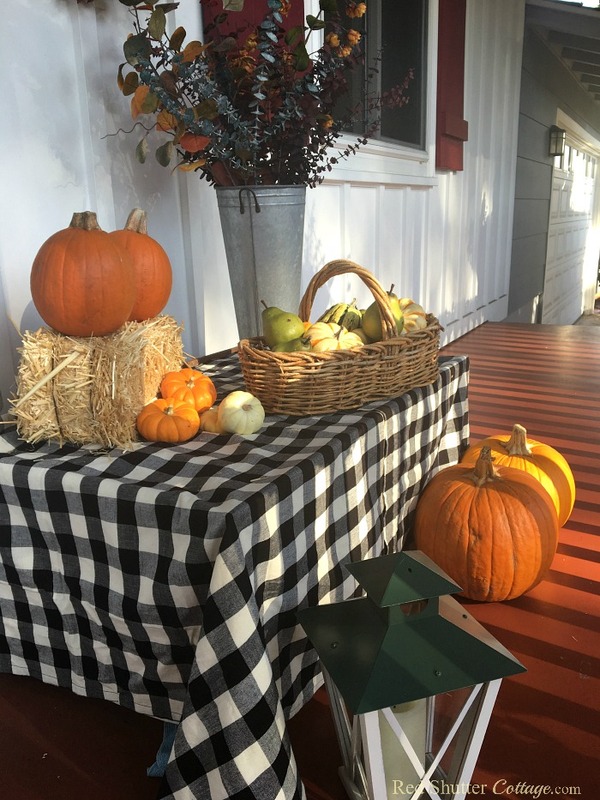 Kristine, your front porch looks absolutely beautiful, so colourful and festive! You’ve shared so much wonderful decorating inspiration. Thank you so much for sharing with the Hearth and Soul Link Party. I’m featuring this post at the party this week. Hope to ‘see’ you there! Have a great week ahead! 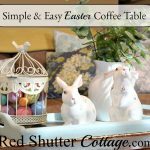 April — Thank you so much for the feature of my little front porch creation!! I have so enjoyed participating in your Hearth and Soul Link Party – and I know I will continue to do so! Thank you again!